Mozilla just released Firefox 7.0.1 – an update for Windows, Mac and Linux. Mozilla Firefox provides a speedy Web browsing experience for users and new tools to help developers create faster websites and Web apps. 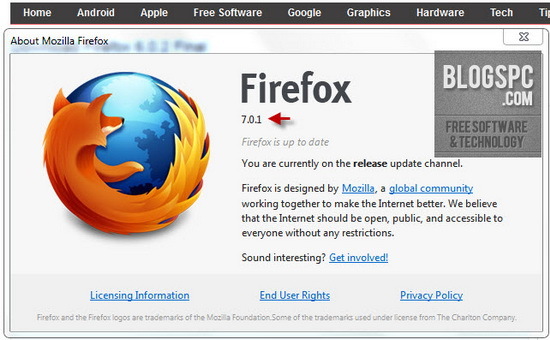 Firefox 7 aims to enhance your browsing experience by improving one of its major drawback, i.e. high memory consumption. The latest and new Firefox 7 drastically improves the usage of memory (RAM) and is said to consume 20-30% less memory than former builds of Firefox browser. I want to download not read where is da link ????????????? ?